The Tom Schneider Atlas Console Table provides function as well as a unique aesthetic to any interior space. Created with a high quality wooden base, it features amazing and distinct curves that allow it to instantly stand out from the room. 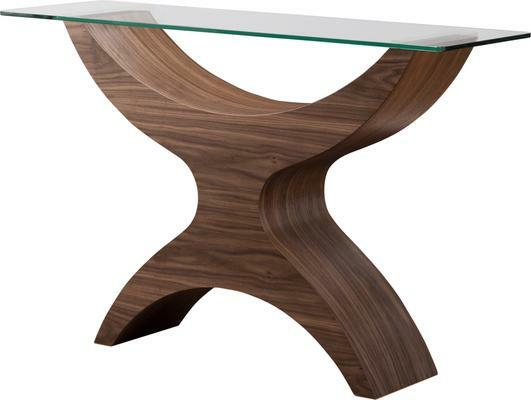 Poised beneath the outstretched curved arms of the base is a durable piece of glass top. Perfect for lamps, vases and more, it infuses the artistic beauty of the base with a more functional, modern touch.